Dental costs can add up quickly without coverage. There are many group dental plans that can be purchased by employers for their employees, even if you don’t offer medical insurance! Plans with coverage for preventive services, fillings, crowns, implants, and orthodontics are available. 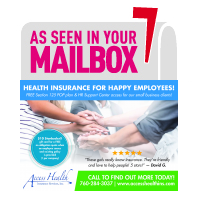 Contact us to learn more about what carriers and plans are available for your employees! The dental provider network is through Ameritas, which is one of the largest networks of Dental Providers.